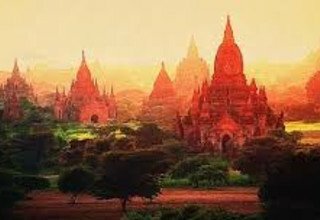 The best of Myanmar Tour is one of amazing trip which offers different cultural and beach activities of huge hidden land of Myanmar. 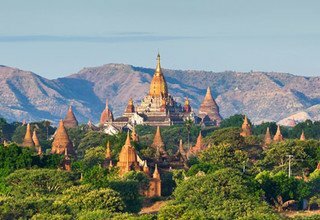 The Best of Myanmar Tour gives you an opportunity of exploring different magnificent cities, towering old pagodas stupas including glistening golden stupa that towers over the capital and one of the wonders of the world. 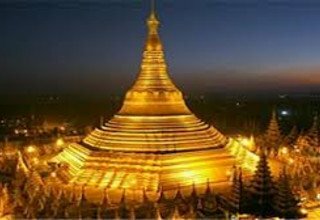 The Best Of Myanmar Tour offers to visit different beautiful villages, boating on rivers with ferry boats and visiting to Pa Hto Daw Gyi: the world's largest unfinished pagoda. Day 2: Yangon sightseeing by car. This morning after breakfast, visit to Ava. After the fall of Bagan, Inwa was the capital of Myanmar Kingdom for 400 years from 1364 until the shift was made to Amarapura in 1841. 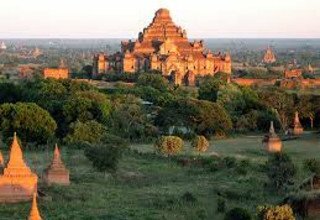 Places of interest are Nanmyint- where 27m high masonry is, Maha Aungmye Bonzan and Bagaya Kyaung where one can witness the art and architecture of Myanmar.Then proceed to Sagaing.Sagaing is famous for Buddhism in Myanmar. 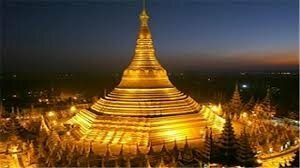 It is the capital of Sagaing Division and has numerous meditation centers on the hill. 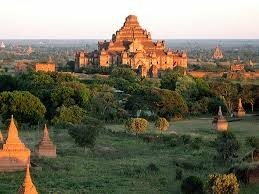 Once an ancient capital, Sagaing lies 21 km a little south of Mandalay, beside the Ayeyarwaddy River. The Sagaing Hills are dotted with Pagodas and there are over 500 monasteries, a retreat for some 6000 monks and nuns. Monywa, Soon U Ponya Shin Pagoda, Kaung Hmudaw Pagoda and Ywahtaung Village are places worth visiting. Near Sagaing is a village named Ywahtaung which is the center of silversmith craftsmen. They are well-known for their engraving of beautiful figures and scenes and for their silversmith skills. Sagiang with its hills and pagodas is well worth visiting to see both the beauty of nature and human religious endeavors. Overnight: in Mandalay. Day 8: Bagan — Popa — Sale. Day 9: Bagan - Heho (by flight) — Loikaw. Day 11: Loikaw — Phekhone — Nyaung Shwe (by car) - Inle (by boat). Day 12: Inle - Indein - Inle (by boat). Day 14: Inle — Heho - Thandwe (by flight) — Ngapali Beach (by car). Day 15: Ngapali Beach Free day. Day 16: Ngapali Beach Free day. Day 17: Ngapali Beach — Thandwe - Yangon (by flight).